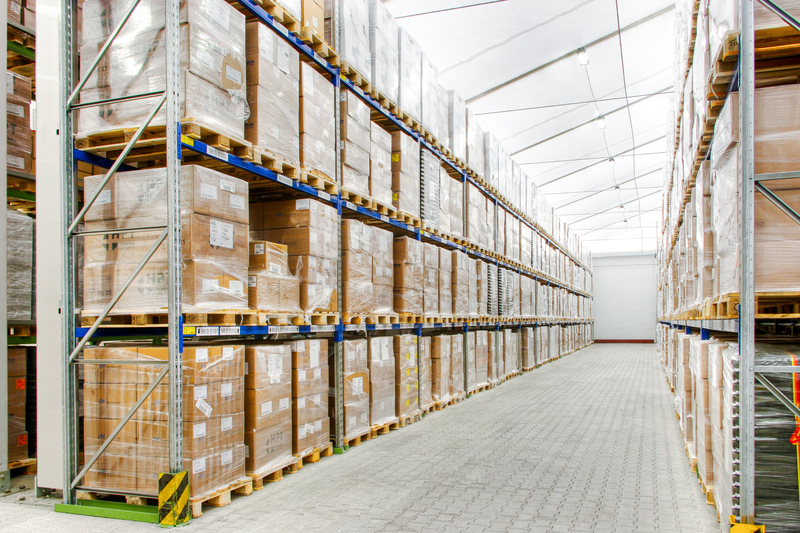 Do you quickly need to expand your warehouse, storage or production capacities? You need a temporary or long-term capacity expansion? Herchenbach has the right solution for you - hassle-free, fast and fully tailored to your needs. 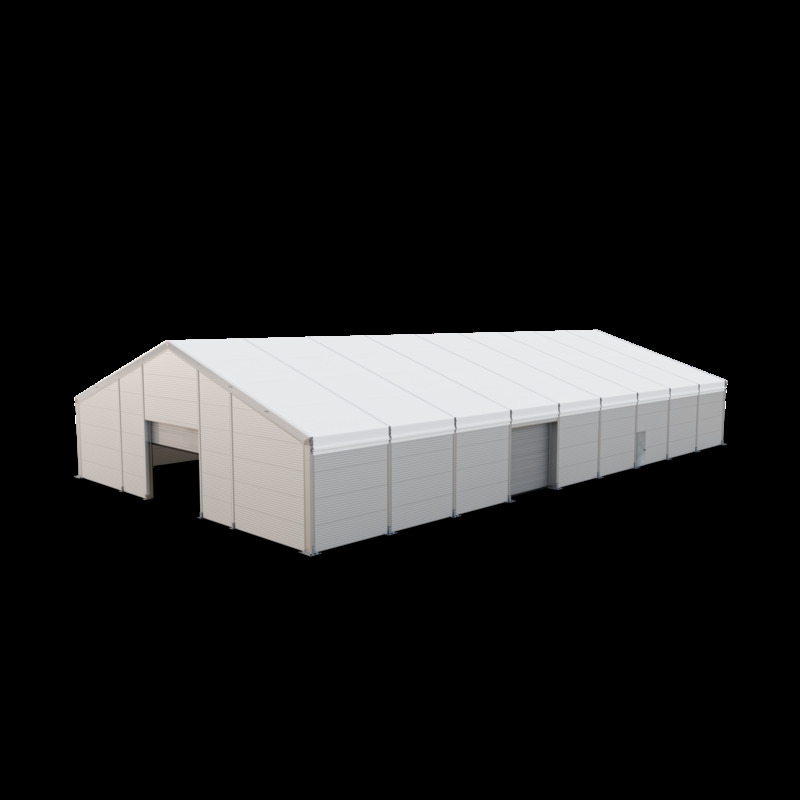 Our buildings are designed as temporary and permanent buildings and are thus easily configured to meet your needs, fast and cheap to build, and literally maintenance free. The dimensions, accessories and specification options to our permanent and temporary structures can be chosen individually. Installation is often onto existing hard ground in just days without any ground-works or concrete base. Customers of ours use our industrial structures for many different purposes in a multitude of settings. 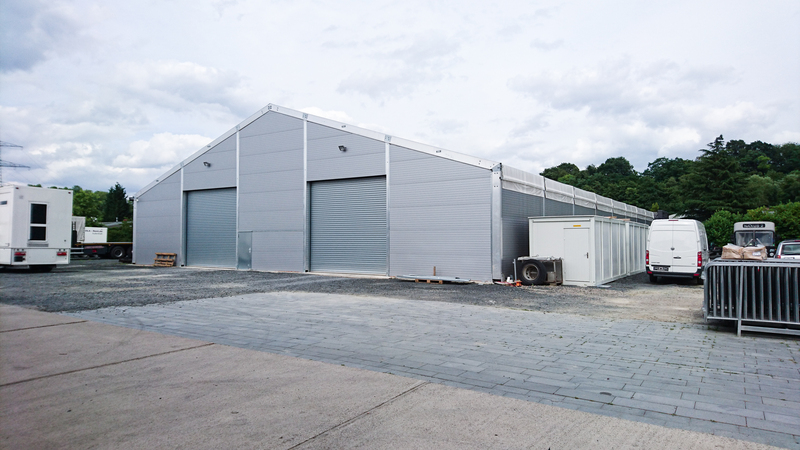 Our buildings can be used as Storage Buildings, Production Centres, Temporary Retail Buildings or Temporary Warehouses. There is probably no use case or application we have not already seen in our 94 year company history. 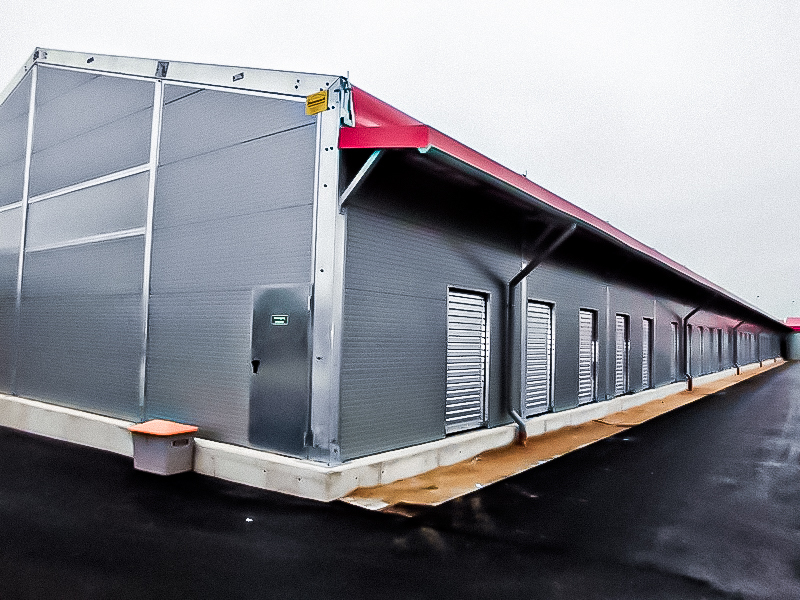 Herchenbach's temporary buildings are conform with BS EN 1991 norm in that they are solid constructions that are resistant to wind and weather, winter and storms. 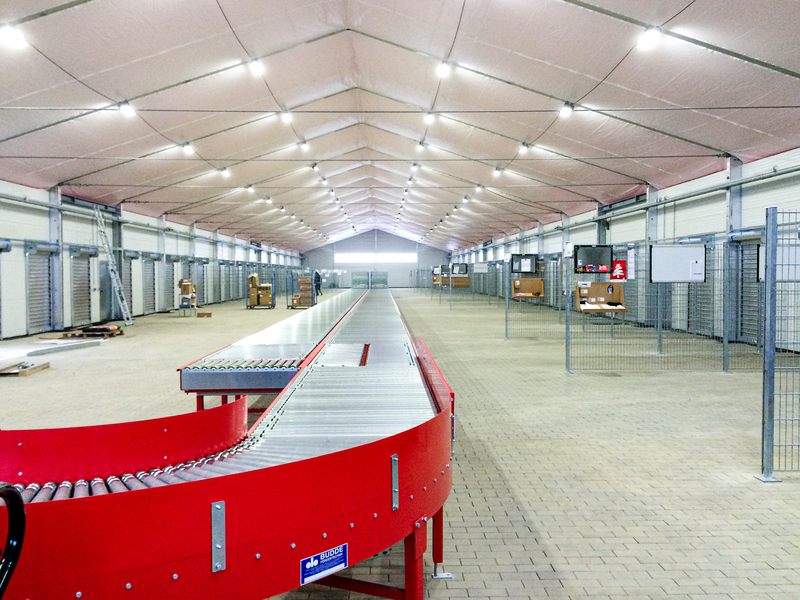 Many of our high quality and German engineered temporary buildings are in use for years or even for decades (see our projects in Germany here). Our stable structures can also be used at high altitudes with heavy snow loads, and Herchenbach is one of the few manufacturers to also offer static plans for high wind load areas in UK coastal regions. Our prefabricated structures offer unbeatable quality and value for money when compared with conventional building methods - without compromise on quality and durability. 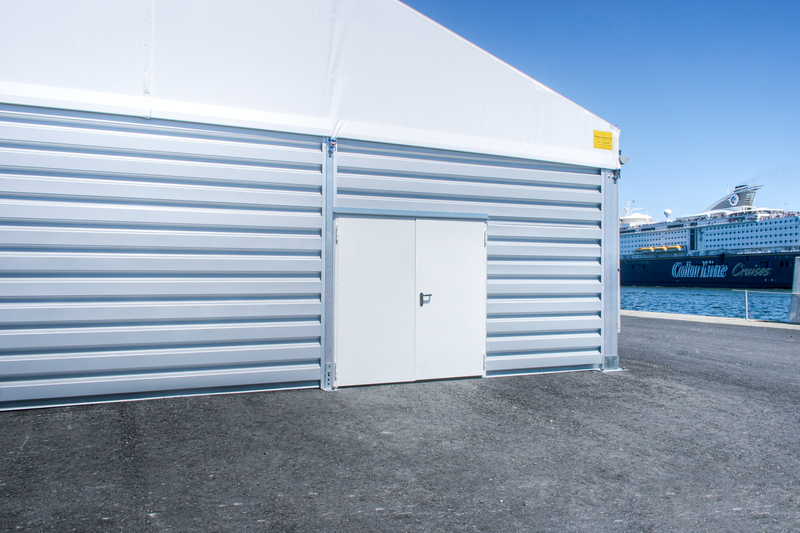 The robust structures we produce can be installed and used permanently and are fully demountable. They retain their value and can be modified as your needs grow or change. Our customers frequently use our buildings for warehousing, storage and more. All structures can be hired for short term, or purchased for long-term use. Herchenbach was founded in 1924, making us the oldest and most experienced temporary building manufacturer. Our solutions are designed to meet the challenges of today’s economy. 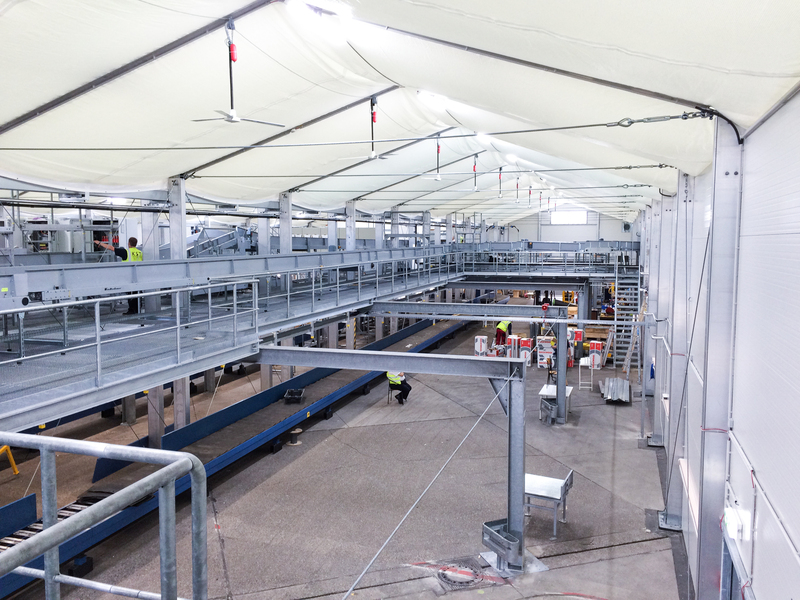 With our extensive experience in providing temporary building solutions to all industry sectors, Herchenbach can provide a quick answer to almost any question related to extra space or cover. At Herchenbach, we prioritise Health and Safety during both the building installation as well as during any building repair operations. Herchenbach employs extensive Health and Safety procedures and is proud to possess a zero incident history. 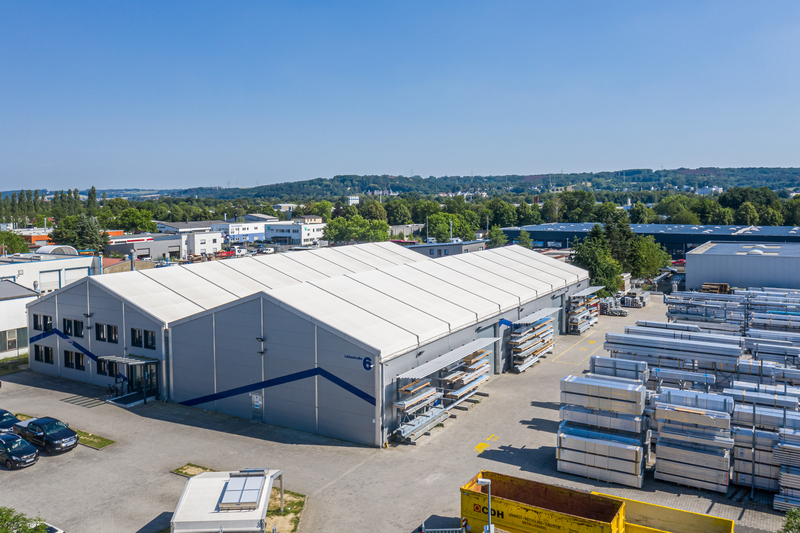 If you are looking for flexible, tailored and quick to assemble Temporary Buildings and Temporary Warehouses with the possibility for both short- or long-term use, Herchenbach is your first choice. 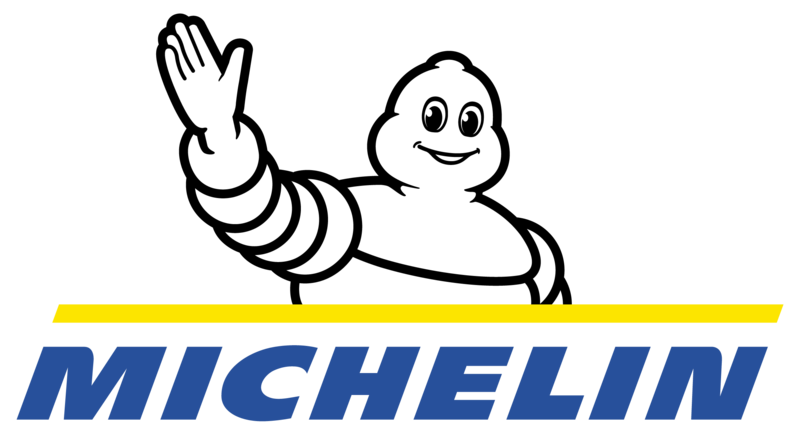 The Lancashire based Herchenbach UK LTD team will be happy to advise and support you in your project. We have local expertise covering the whole of the UK. This means you get local planning knowledge, free advice by telephone and a free temporary building visit to your site. 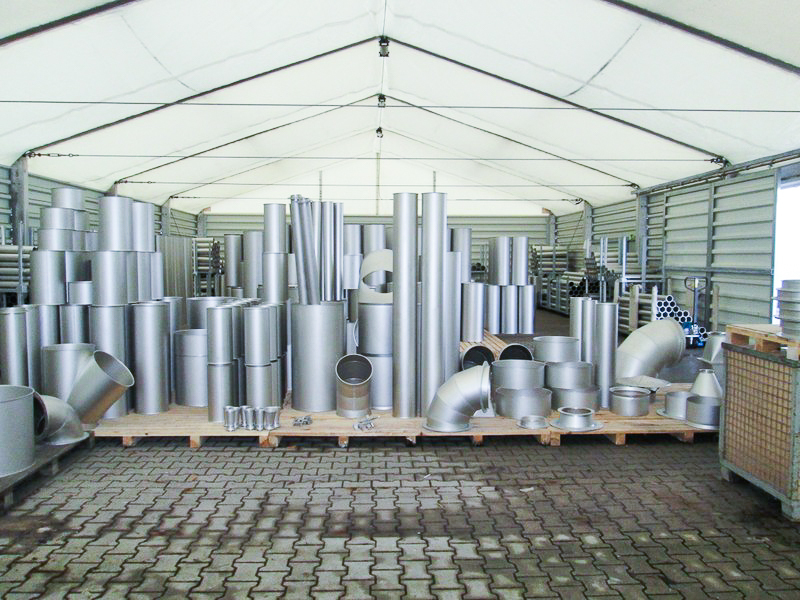 Herchenbach will provide the best combination of cost-efficiency, building that suits your needs and speed. For free temporary building advice call Herchenbach UK! We count more than 3,000 companies all over the UK and Europe as our satisfied customers! Flexible options: doors, gates, windows, etc.